Celebrate this Red, White, and Blue holiday weekend with the Red-est Red Head in Comedy! Carrot Top opens up like never before! On a recent trip to Las Vegas, Matt sat down with the iconic comedian. They chatted after Carrot Top’s show at the Luxor, where he has been in residence for the last 12 years. Carrot Top is known for his very physical performances, prop comedy, and side-splitting one-liners. But off stage, Scott Thompson is relaxed, thoughtful, and almost reserved. In their interview, the pair cover everything from Carrot Top’s comedy inspirations, how he creates his inventive props, and even his love for Matt’s favorite music. That’s right, Carrot Top is a country music junkie! Plus, the comedian reveals why he has begun to patent some of his props. 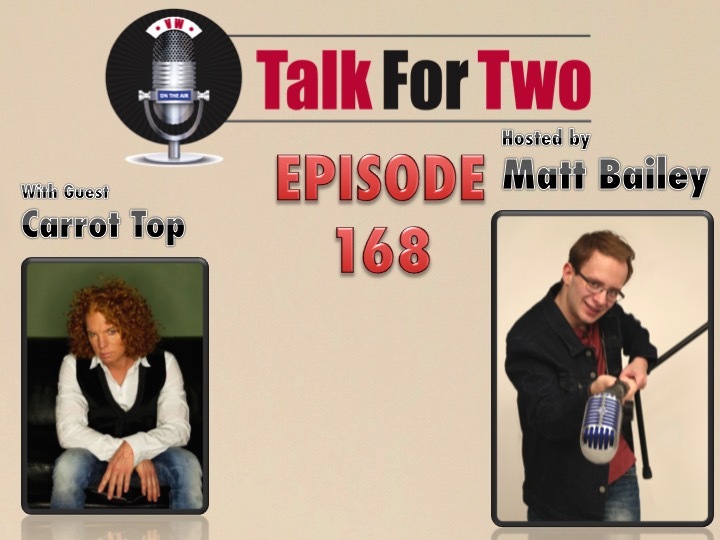 If you think you know Carrot Top, just wait till you hear this conversation. Click here to visit Carrot Top online and click here to buy tickets to his Las Vegas show.